Allegra Boverman/Gloucester Daily Times. 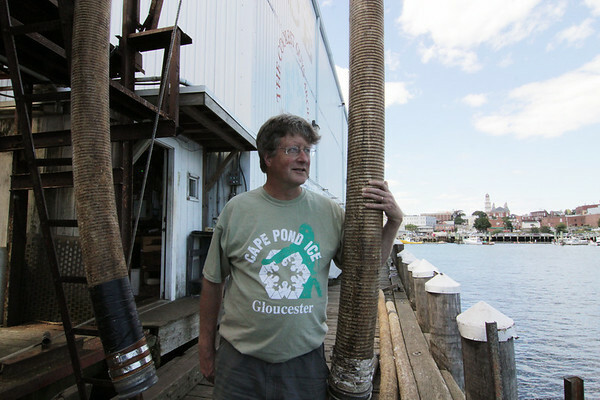 Scott Memhard, owner of Cape Pond Ice, at the business's dock where the company will pour ice into waiting fishing vessels. He wants to transform the building into a multi-use, multi-business location.